Pick plants that prefer less water and will be more tolerant of sporadic watering while you’re away. You might like the colorful blooms on an African violet or miniature rose, but they will only give you grief if you ditch them to go trek Annapurna. 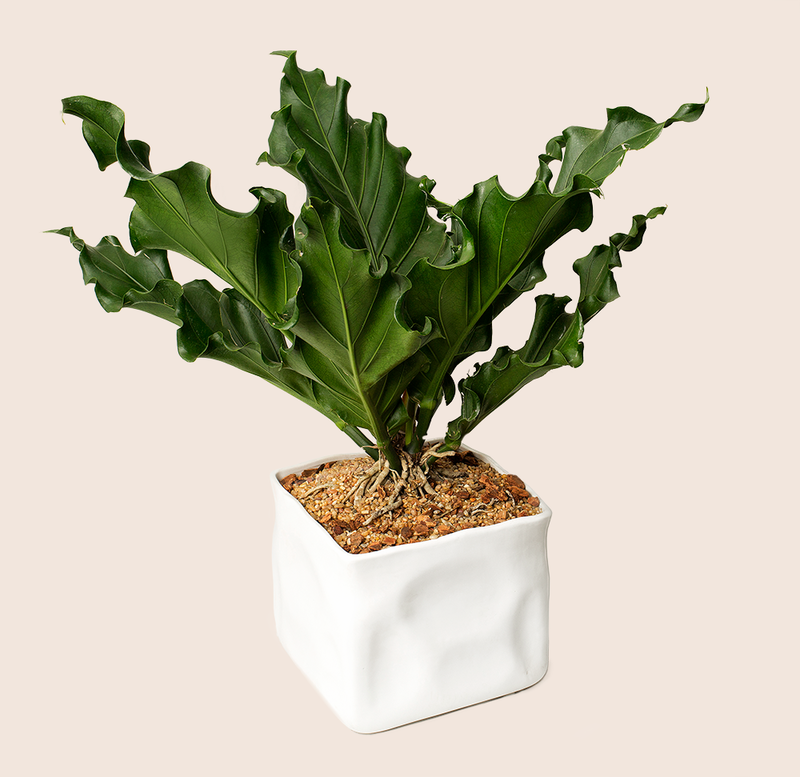 Most houseplants do best in a moderate environment of 60 to 75 degrees, so in the hotter months you will either want to keep on your air conditioner while you are out of town (obviously not the most environmentally friendly option) or move the plants to a part of the house that stays a little cooler, like a basement or pantry. Don’t leave plants in drafty areas or near air vents; circulating air dries them out. Direct sunlight also makes soil dry more quickly, so if you expect your favorite spider plant to be left unattended for a stretch, move it away from that plate-glass window. Grouping plants together helps keep the air around them humid. (This works because they release moisture through a process called transpiration.) In the winter months, you might want to further increase the humidity by placing plant pots on trays filled with pebbles and water. Give your plants a little love before you leave, so they are in tip-top shape. Snip off dead leaves, stems, and withered blooms, and clear out any fallen plant matter from the pot. Dead or dying vegetation in the soil or on the plant is more likely to harbor disease that can take a turn for the worse while you’re away. Before you head out, give your plants enough water for it to drain out of the bottom of their pots. This hardy tropical plant with attractively mottled, heart-shaped leaves is among the easiest to grow indoors. It was originally cultivated in Southeast Asia and would rather be given too little water than too much. Keep the soil damp, but do not let it get soggy, and keep it out of drafty spaces. Snake plants might be the most tolerant houseplants broadly available. They can survive weeks of neglect while still looking fresh. They require very little light and water and rarely attract problem insects. 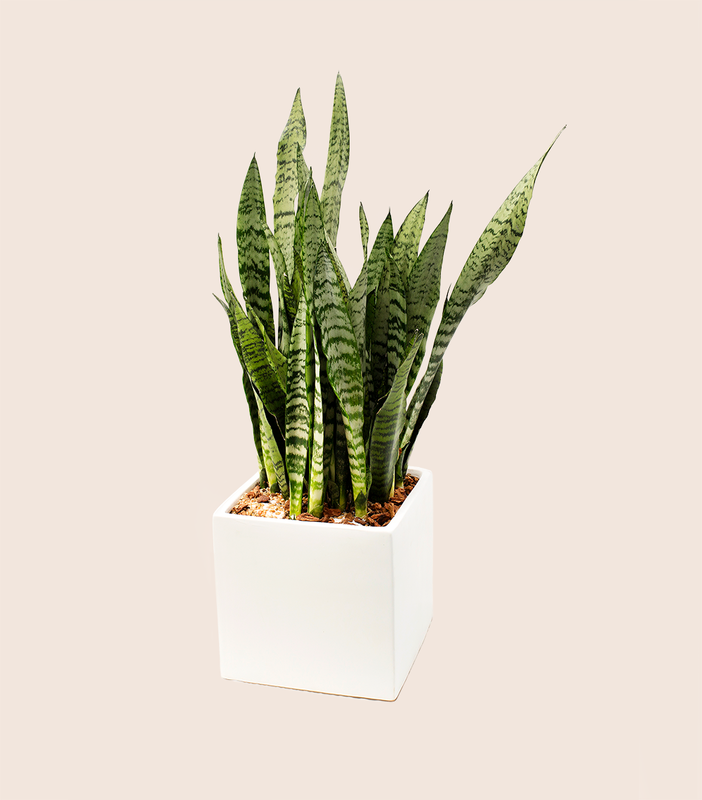 Bonus: a NASA study concluded that snake plants increase indoor air quality by removing toxins like formaldehyde and benzene. Originally from the South American rainforest, the bird’s nest anthurium is a plant that thrives on moderation. It doesn’t like high heat, hard freezes, or direct sunlight — in fact, too much of these things can kill it. But it does like humidity. For this reason, it tends to be happy growing in bathrooms. The ponytail (also not actually a palm) stores water in its short and squat trunk, making it tolerant to infrequent watering. It’s a generally forgiving plant that likes bright but can tolerate medium sunlight. 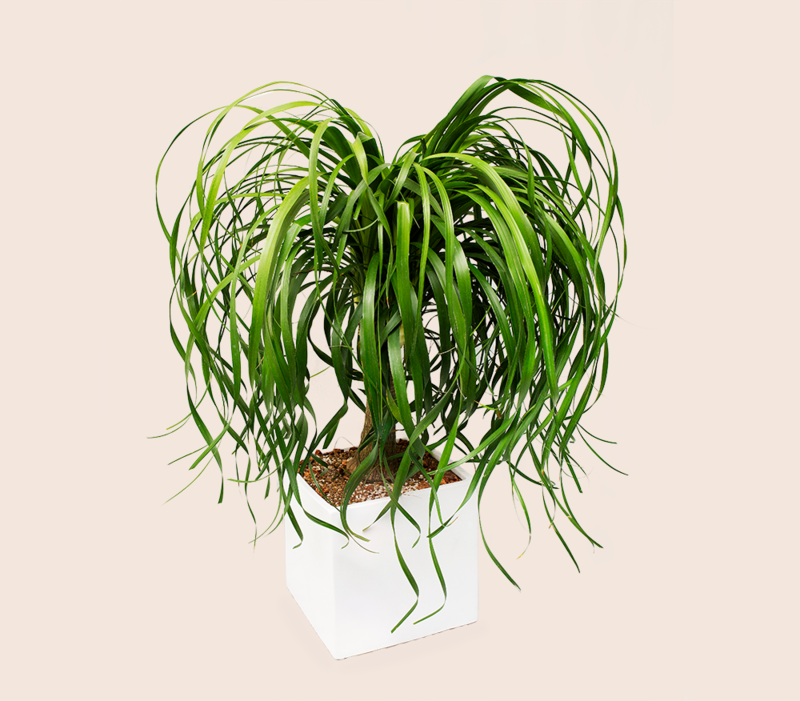 With its goofy “hair” and bulbous “body,” the ponytail palm is one of our favorite plants on the list. A huge group of plants that come in tons of different colors, shapes, and sizes, succulents have been trendy for a few years now, possibly because there’s something retro-1970s about both their look and the look of the glass containers they’re often kept in. They store water in their plump, juicy flesh; this makes them them highly drought-resistant, and thus ideal for the neglect they might be subjected to when owned by someone who stays home just long enough to do a load of laundry and repack for the next voyage. They usually like bright--but indirect—sunlight, yet can survive on only a few drops of water. Olivia Lerner splits her time between Water Mill, Westhampton, and New York City. A graduate of Cornell with a degree in landscape architecture, she has a boutique plant shop called Bodega Rose.